I've always believed that it's impossible to truly understand a culture without having a firm grasp on the language. Natural linguistic differences lead to differing linguistic thoughts and perceptions of the world, and those differences can have lasting impacts on the evolution of cultures. For the brief period of time that I was a Classics major in college I put a lot of time into my Ancient Greek and Latin, with the exciting result that I was able to maneuver my way through Italy speaking nothing more than bastardized Latin. You know when someone asks you what your thinking about, and you just can't find the term? Or, when you're asked how you feel about something, and you have to start it with a caveat or an "I don't know" before searching for the best approximation? Chances are, there are words for those situation, they're just likely not in the English dictionary. By some estimates, there are around 170,000 words in current use in the English language. 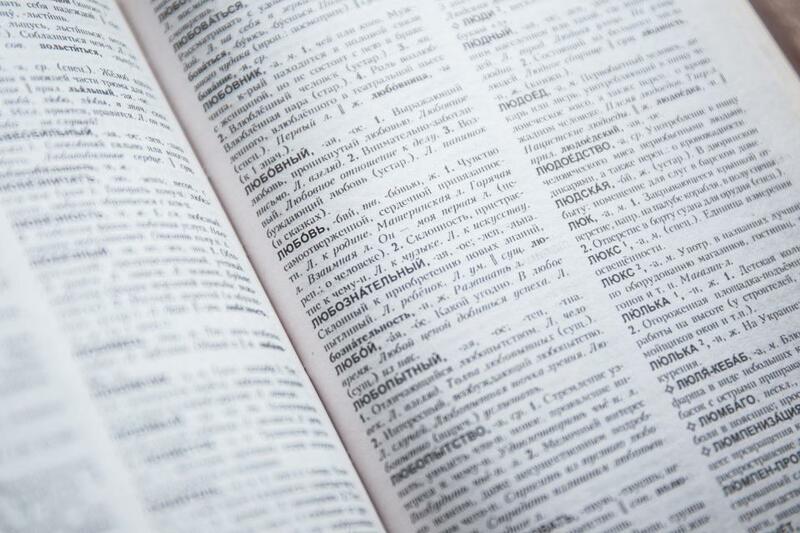 The latest, twenty-volume edition of the Oxford English Dictionary records 171,476 words in current use, with 47,156 outdated words, and countless techinal terms, neologisms, and common words borrowed from other languages. And yet, there are still those ideas that you wanna express, and simply can't find the right term...cause it doesn't exist. In English, at least. But other languages have all kinds of interesting concepts and vocab words for things you just need to descibe. These terms don't have an English equivalent, but after reading this list, you'll sure wish they did. Artist T Mercy draws a new swear word, by hand, everyday...you know for fun, and practice and #@$!. On a recent episode of Morning Edition, NPR's Robert Krulwich, of RadioLab fame, paired up with his colleague, Adam Cole, to write a clever song about eponyms, the people who serve as namesakes for actual items, like General Burnsides (sideburns), Harold Bluetooth, or Amelia Bloomer. I'll admit it. I'm a grammar nerd. Well, at least a syntax geek. I'll often go quite far out of the way to avoid ending a sentence in a preposition, am pretty careful with my whoms, and am often misunderstood due to fact that I keep my lays and lies straight.